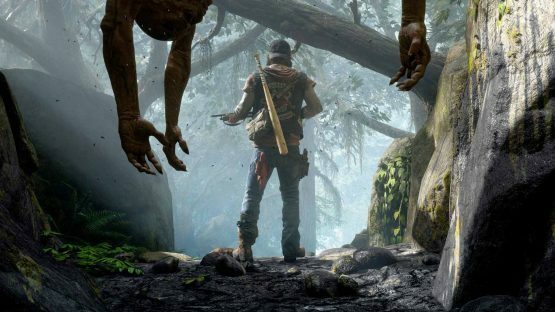 Sony Bend is hoping Days Gone be the next big thing in open world zombie action/adventure games. However, many people consider it simply the next thing in open-world, zombie action/adventure games. Whether or not Days Gone has failed to distinguish itself in its early development has become something of a controversial topic. It’s not hard to make the obvious and Sony-Bend-groan-inducing comparison to Naughty Dog’s The Last of Us, a zombie/action adventure game, although there are obvious differences, the open-world setting chief among them. And I’m confident many of you are already scrolling down to the comments section to either agree wholeheartedly that Days Gone is going to be derivative garbage (a claim I haven’t made), or to vehemently disagree and defend Sony-Bend’s upcoming project. And that’s precisely the point. We’re at least eight months from the release of Days Gone, and it’s already shaping up to be the most polarizing game of 2019. Where are we? And better yet, how did we get here? While Days Gone has taken probably more than its fair share of lumps, given that it’s so far from release, watching the response to these pieces is indicative of a small, yet dedicated contingent of defenders. Even now, articles about its pre-E3 demo calling it “messy,” “derivative,” or much worse are being pounded by commenters decrying “lazy journalism,” and saying how the game is getting a bum rap. All the while the truth is that no one – not you, not me, and not even the developers at this point – know whether or not Days Gone is going to be a good, original game, a bad, derivative game, or anywhere in between. And this is just now – not even halfway through the year before Days Gone comes out. Imagine what it will be like in 2019, when more hype, demos, and preorder bonuses have all been announced. Days Gone has polarizing written all over it. It wasn’t too long ago that a different game released to mixed-to-negative critical reception despite a horde of ravenous followers. You might remember this little indie title called Mass Effect: Andromeda. I remember seeing a Reddit thread after the review embargo lifted lamenting that “this game isn’t gonna get the scores we were hoping for,” meaning of course that they knew Andromeda was going to be great, but were sad that it wasn’t going to be appropriately recognized. But what happened with Andromeda? Saleswise, the game was a success, but in terms of sticking around in the cultural consciousness, the game has all but evaporated. It could have easily gone the other way – but it definitely acts as a cautionary tale for pre-release hype and that stand-by-your-man mentality of purchasing games. This is an easily identifiable psychological phenomenon called “choice-support cognitive bias.” To be clear, I’m not a psychologist and am unqualified to diagnose people who just want to enjoy a video game. That said, there is an underlying impulse in every human to find support for the choices we make, regardless of whether or not that support is valid or exists at all. Furthermore, choice-support cognitive bias also compels us to ignore the negative aspects of a particular choice. Put simply: people don’t like to admit that they were wrong or made a bad choice. It’s not hard to see how something like this can be applied to video games, particularly when that video game cost them $60 or sometimes more with additional purchases that often come with today’s video games such as season passes, DLC and the ilk. It’s a big investment, and people want to believe that it’s a good one. Will this happen with Days Gone? And it might be a good investment. As I said, we don’t know. We don’t know anything more than the reports of those who’ve played an early demo and the opinions of those who’ve watched an hour-long gameplay video. That said, if it is bad, if Days Gone can’t distinguish itself among the genre and delivers a “messy,” unfocused experience, don’t expect any of its fans to admit to as much. Days Gone already has the unstable concoction of negative press and ravenous defenders that has the potential to grow even more negative and ravenous in the coming months. One factor to look out for with Days Gone is preorder numbers and incentives. The more preorder incentives the game has, the more people will preorder it, and the more people who preorder it, the more people will want to defend that decision to preorder it and lash out at anyone who tells them otherwise. 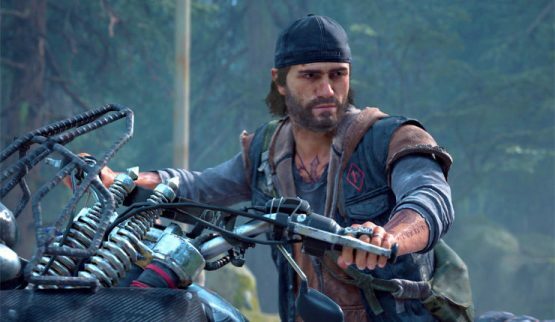 Days Gone could be great, terrible or anywhere in between, but it may very well end up as the most polarizing game of 2019.